Whether you are looking for a tranquil outdoor venue, an opportunity to perform in an onstage musical during your ceremony, or a polished downtown hotel, there are multiple options for unique Houston wedding venues. 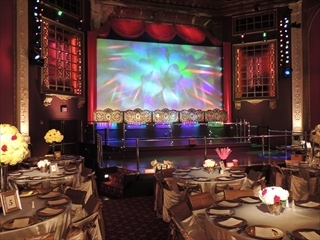 Check out a few Houston wedding venues that cater to assorted themes for the big day. Located in the Post Oak area near the Houston Galleria, the Four Diamond Omni Hotel fulfills several celebration needs that come with a wedding. Host an engagement party, rehearsal dinner, reception and ceremony all in one location. In addition, the Omni boasts luxurious guest room accommodations that will leave friends and family with a smile on their face. The Majestic Metro located in Downtown, Houston right by Market Square provides a setting that’s unique from a traditional wedding venue. How many venues will allow you to truly be the star of your own show and provide an elegant backdrop with rich architecture to say your vows? Picture Central Houston, hanging orchids and a lively outdoor backdrop. The Bayou Bend Gardens can offer this to couples looking for an extravagant outdoor setting. Complete with eight formal gardens, there are multiple options of pristine lawns to choose from to celebrate the festivities. If searching for a Spanish style Houston wedding venue for the big day, the Bell Tower on 34th is the answer. This venue boasts a variety of options, from a grand ballroom, to an outside steeple, to a wine room, all with a lovely fairytale theme. The architecture supports this with tall stucco walls, iron gates, and lavish gardens. This is a location that can support upscale events that are large or small, so no matter the size of your wedding, there is a fitting amount of room to celebrate. This large, lavish venue nestled amongst 7,000 acres of trees and greenery is a perfect venue, especially when choosing an outdoor ceremony. Equipped with a grand ballroom, outdoor area with decorative fountains as well as other ceremony rooms, Mia Bella Vita in North Houston can host a memorable ceremony. This venue, complete with a distinct glass enclosed chapel nestled amongst lush trees, is a truly beautiful wedding ceremony destination. Walking down the aisle wrapped in a beautiful view and adjoining ballroom to celebrate in after makes this venue quite appealing. With a location in North Houston and one opening this summer in West Houston, there are multiple elegant options to choose from at Ashton Gardens. A venue that is definitely off of the beaten path, yet remarkably unique and historic is the Julia Ideson Library. This building served as Central Houston’s public library from 1926 to 1976, and is registered under the National Register of Historic Places. After a well-planned renovation, the library gained an outdoor garden and seating area as well as a refurbished gallery hall with intricate marks of classic architecture. It’s hard to top a classic piece of history when searching for unique Houston wedding venues, as this one is classic and fully equipped for hosting the big day. No matter what type of venue you are searching for, Houston boasts many unique wedding venue options to spark celebrations on the special day.